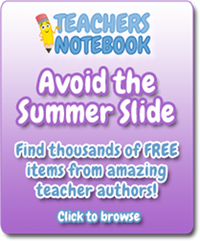 Check out all of the FREE stuff on Teachers Notebook this summer! Each day different inspirational quotes are sent to my email from various sources and when one particularly strikes my interest, I like to share those words. The affairs of the world will go on forever. Do not delay the practice of meditation. Feel free to change the word “meditation” if another positive word inspires you more; prayer, peace, happiness…. Would you like to have inspirational quotes delivered to your email inbox everyday? Do you subscribe to any similar daily inspirational services? Share them here for all of us to learn about!